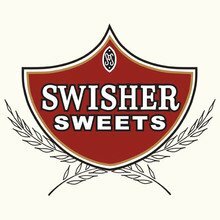 Swisher Perfectos are an affordable, tasty treat for both budget and time conscious aficionados. Machine-made with a blend of choice tobaccos to provide a smooth profile of your favorite flavors, these cigars rival their full-sized peers with an unforgettable smoking experience! Smooth and satisfying at a good price. Some imperfections, but still worth the price. Mellow. A nice smoke and flavor. Cost is great. Burns nice and smells great. Great quick smoke. A mild and sweet bang for-for-your-buck smoke; Swishers Giant, considerably larger, hardly much more money are both a bargin since Swisher increased the sweetness most of their cigars,(not Kings) you’ll find great enjoyment over and over, so make sure to stock up. JR prices can’t be beat, not a little but by a lot! Perfecto is Swisher's best. If you haven't tried you should. Big bang for the buck! Perfecto is the absolute best for the money. Got my order in 2 days USPS mail from east coast to west coast! !